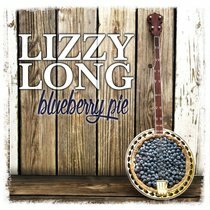 Customer Reviews For "Blueberry Pie"
When Lizzy Long sings, she can evoke a palate of emotions. Not since Alison Krauss or Kristyn Getty has there been a voice like Long's. Possessing a sweet backwoods soprano that gushes with crystal clear Appalachian timbre, Long has a voice that can soothe like a healing balm and beguile the brawniest of hearts. Lyrically, Long trawls her net far and wide: on these 10 cuts, you will find her singing about faith, God, family, romance and life. Title cut "Blueberry Pie" gets into the female mystic allowing us an insider's perspective of why some women fall for guys who appear unemotional, hard, and glacial on the outside. And Long sings with so much sensitivity and verve that no brumal fortitude can ever withstand her crystalline voice. Bluegrass queen Rhonda Vincent joins Long on the somehow draggy string-laden "God is There," which is passable without being exceptional. While Ernie Hasse  Signature Sound add harmony on the ultra-romantic upbeat "Love I'm in Love." The Wayne Haun co-write "Figueroa Mountain" and  Carl Jackson's "Communication Breakdown" display some sublime lightning speed fiddling, a thrilling fleet for any bluegrass purist. In an absolutely rustic tradition is "Love is a Mountain Road." Just as picturesque as the mountain road, Long makes each observation in the song sound three dimensional.